Players can gain Points by completing Weekly Quests and get rewards. 1. Weekly Quests works like Daily Quests. Players can get Points by completing the specific tasks. 2. 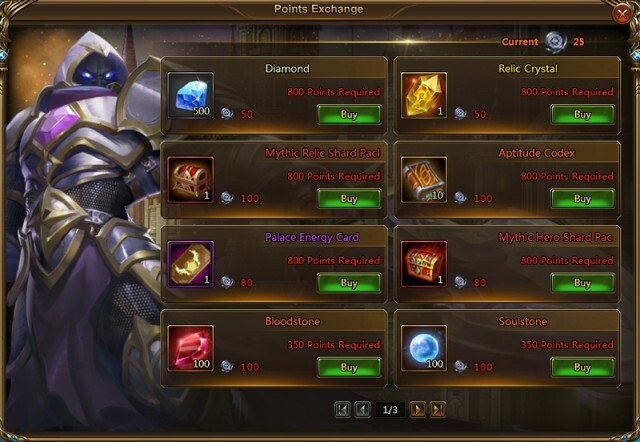 When players accumulate specific amount of Points, they can claim chest rewards. 1. 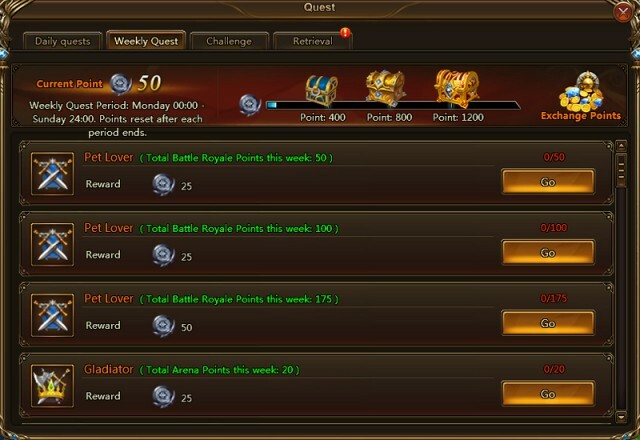 Click“Exchange Points” on Weekly Quest Panel to redeem rewards. 2. For some rare rewards, players can redeem them once a week, while other rewards can be redeemed without limits.